We're sorry, reservation times are not available online for a party of this size on the selected day. Please call us at 843-361-0000 and we will see if we can accommodate your party. For parties greater than 12, click on the Groups link below or call us at 843-361-0000 for assistance with your reservation. Shark Pub and Shark Pub Patio Tables are available on a first come, first serve basis. Please be sure to include your Guest Type (required by Greg Norman Australian Grille). Newsletter: By selecting any of the following options, you agree to receive communications from Greg Norman Australian Grille. We do not share your information with any 3rd parties. You can withdraw your consent at any time. Stay personally connected to Greg Norman Australian Grille with your free preferences profile. You'll have convenient access to Greg Norman Australian Grille's news, promos and special events! And Greg Norman Australian Grille can get to know you better with automated communication. 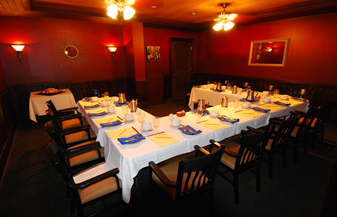 Available for daytime events, nighttime events, full buyouts, fully private dining. The great golfing champion from Down Under offers innovative cuisine and a spectacular décor that will make you feel like you are dining in Sydney's finest harborside restaurant. 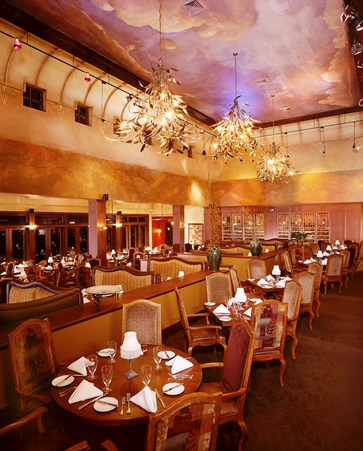 Our impeccable service and the overall menu knowledge of our staff will be sure to impress. We offer an extensive wine list, including a separate Captain's List, that have received the Award of Excellence from the Wine Spectator magazine every year for over a decade. We also offer a full bar with a wide array of specialty cocktails, specialty martinis, cordials and after-dinner coffee drinks. Located in North Myrtle Beach rather than Myrtle Beach, our zip code for GPS usage is 29582. Enter at the southern-most traffic light near the Memorial Gardens and drive straight back to our restaurant on the Waterway. It is a green building with a gray brick tower and red roof.